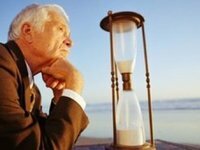 Head of the Pension Fund of Ukraine, Oleksiy Zarudny, has said the maximum size of a pension in Ukraine has risen to UAH 13,800 since January 1, 2018. "This year, in connection with the growth of the living wages, the maximum pension ceiling has increased from UAH 10,740 to UAH 13,800," he said during a meeting with veterans of the Azovstal Steel Mill in Mariupol (Donetsk region) on Friday. Zarudny noted that the average size of pensions in Donetsk region is UAH 3,200.